iProcess is a free mobile App that was developed for Apple® IOS and Android smartphones, tables and devices. iProcess was specifically made to allow a merchant to Geotag the location of the transaction on the receipt, allowing you to make transactions anywhere there is a cellular or WiFi connection. iProcess gives the merchant the ability to print or e-mail receipts, depending on your customers preference, capture the customer’s digital signature and add a tip to the total transaction, if necessary; allowing for a paper free transaction. Giving merchants a complete processing solutions was the goal behind iProcess. You are able to perform full or partial refunds from the Transaction History Log. Giving you flexibility and customer satisfaction, anywhere in the world. With iProcess, you can process both keyed and swipe transactions with our mobile encrypted card readers. 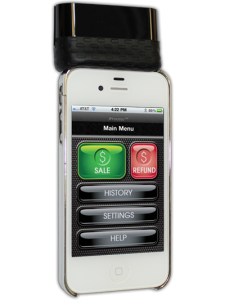 Never be without a payment processing solution again!